Branch Line highlights Watertown’s past—and future. Branch Line, which pairs fresh fare with craft beers on tap, has transformed part of an historic building at the former Watertown Arsenal. 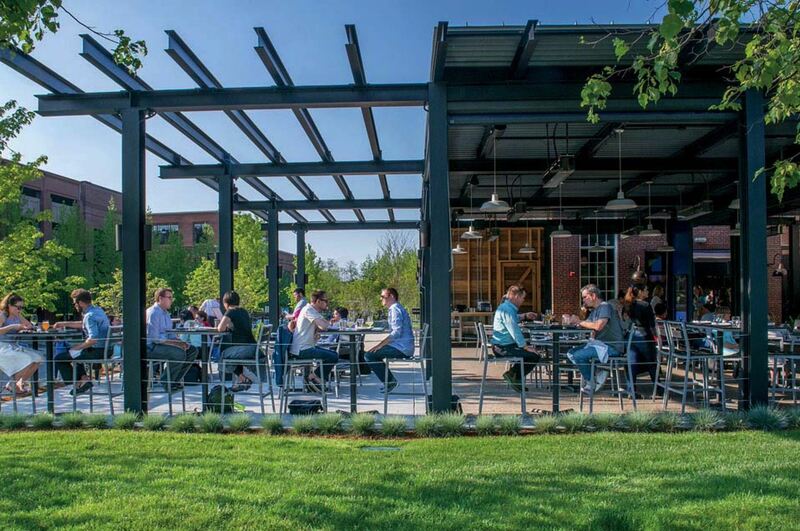 Especially enjoyable is Branch Line’s seasonal outdoor dining space. Patio diners at Branch Line can watch the sun go down—and might even catch a breeze from the Charles River—amid the Watertown Arsenal’s historic red-brick buildings. The restaurant sits blissfully removed from traffic, and often feels as if it’s in its own quiet little neighborhood. Then there’s the food. Branch Line is a partnership between the owner and the general manager of Eastern Standard, in Boston, and shares its brasserie-style flair. Slow-cooked French rotisserie chicken ($19/$38) and grilled steak ($24) rightly lead the menu. 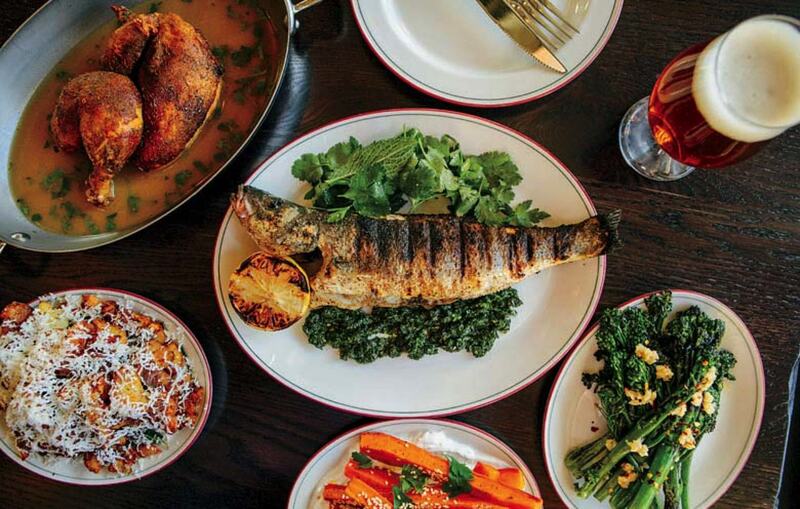 But the potato gnocchi with “beef-cheek ragu” and pecorino ($23) is a rich treat, or go for the more nuanced grilled branzino (whole fish, or filet), with olives, harissa, and a side of micro-greens ($28). The vegetarian entrée, though—featuring chunks of smoked eggplant over too-dry braised chickpeas and a layer of almond romesco—tasted something like a burnt oven smells. Sides and starters had more zip. Steamed mussels came in a beer-laced broth spiced with Calabrian chiles ($14). The sugar-snap-pea salad, with marcona almonds and loads of ricotta cheese and fresh mint, was crunchy and refreshing ($12). The lamb and pork meatballs drenched in sugo al pomodoro—classic tomato sauce—were divinely filling ($5). 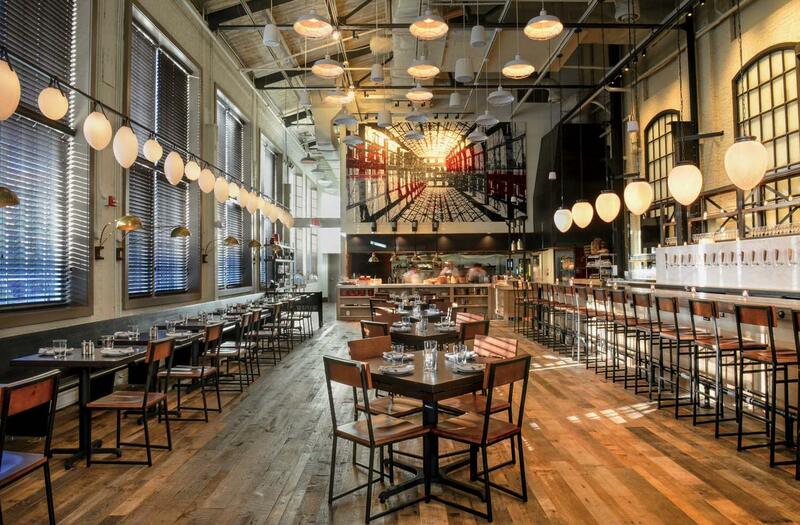 For its part, Branch Line has integrated modern, industrial-chic décor with preserved elements like tall windows and exposed steel beams, and attracted a lively following—thus laudably linking community development and history through its delicious food.